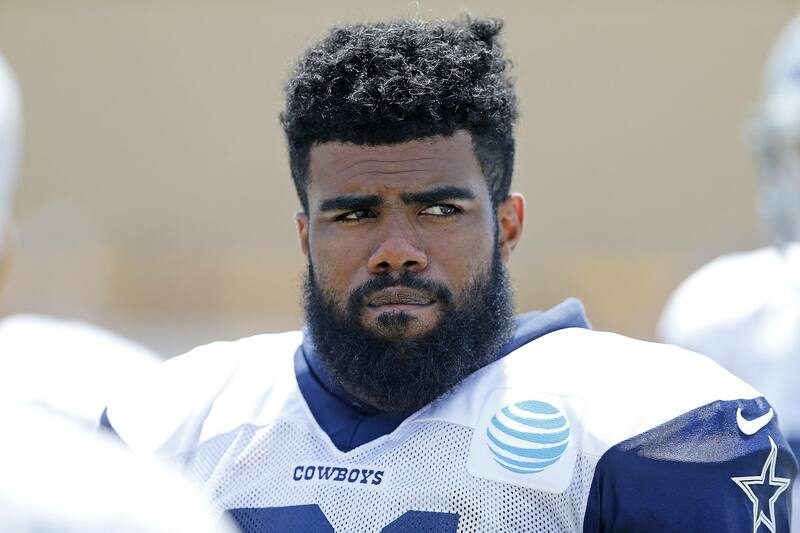 Judge Katherine Failla of the U.S. District Court for the Southern District of New York has denied Ezekiel Elliott's request for a preliminary injunction against the NFL's six-game suspension for alleged domestic violence. While Elliott and the union will appeal this decision in the circuit courts, he is suspended pending further legal action. In other words, the judge believes that the NFL conducted itself according to the rules of the Collective Bargaining Agreement and did not feel there was enough merit to the argument that "fundamental fairness" was denied. With no legal protection currently, Elliott will almost certainly miss this Sunday's game against the Kansas City Chiefs. His camp will try to get an expedited appeal and another temporary restraining order based on the "irreparable harm" that comes from him missing games, but those moves are for another day. For now, the NFL front office gets a major win in terms of its power and the validation of the CBA. Interesting, this comes on the same day that news is circulating of a major shift in the owners' desire to hand Roger Goodell a major contract extension. Jerry Jones is at the forefront of that movement, and tonight's events will only fuel his fire even more. We will have to wait and see what this means for Ezekiel Elliott and the rest of the season. If he can't win another court battle, he will now miss Weeks 9-14. On the plus side, that guarantees he would not miss any playoff games or even some critical season-deciding matchups at the end of the year. But can the Cowboys stay competitive with Zeke out? Can Alfred Morris and Darren McFadden do enough to help Dallas keep pace with the Eagles in the NFC East, or even in the Wild Card race? Maybe we won't have to find out. The legal process isn't over for Elliott and the NFL, but tonight was a major blow for Zeke and Cowboys Nation.